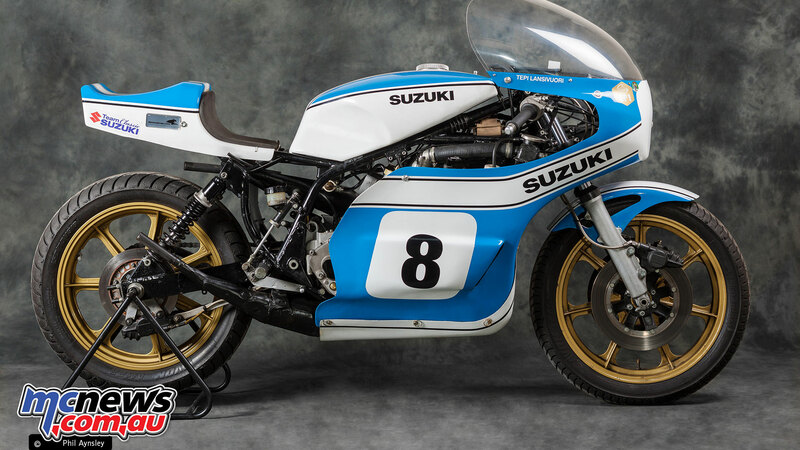 The TR750 (XR11) was Suzuki’s response to the new Formula 750 class and was first raced at Daytona in 1972. 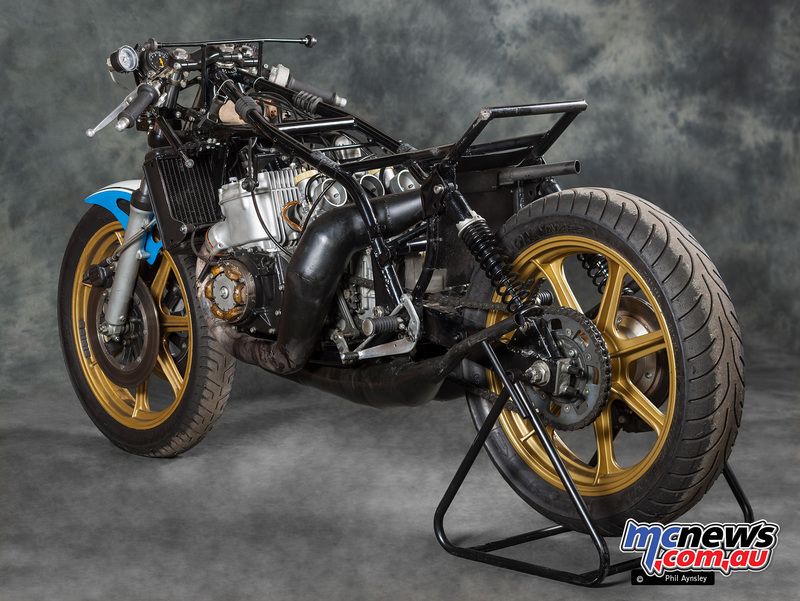 It was immediately apparent (in fact development testing had already shown) that neither the frame, nor the clutch, chain and tyres available at the time were fully up to the task of containing the 105hp available (in early testing) from the GT750 derived water-cooled triple! 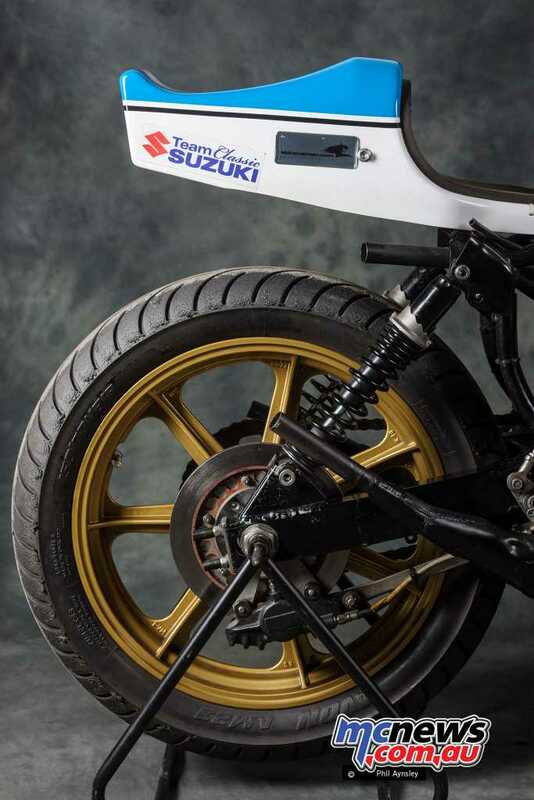 After early practice on Dunlops the technician in charge said that while the company would like Suzuki to use their tyres, it would be without any guarantee and perhaps they would like to source their tyres elsewhere? 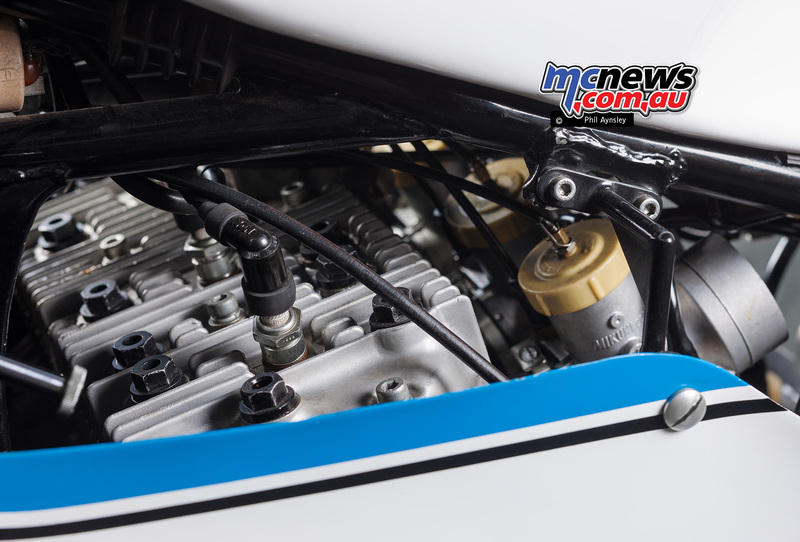 The four bikes entered started the race on Goodyears but Jody Nicholas’ rear tyre disintegrated while he was in the lead, while Ron Grant’s clutch burnt out and Art Baumann’s ignition failed. 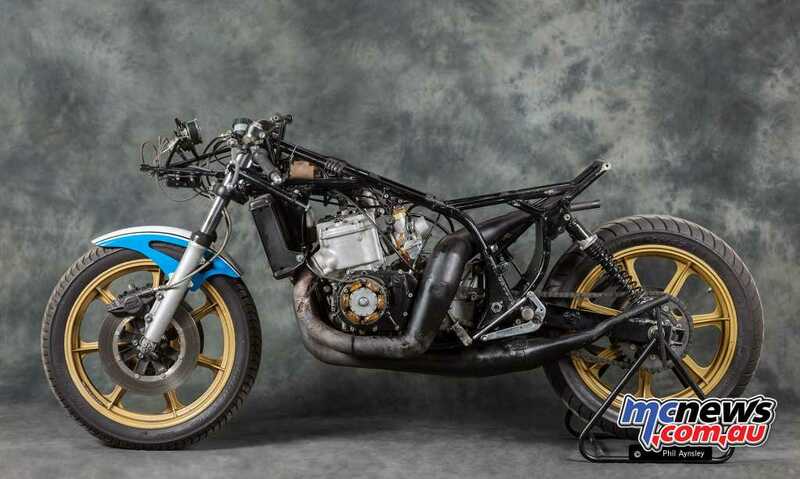 Rick Perry’s bike was the only finisher, in 15th. At Road Atlanta the following month however Nicholas won with Grant in fourth. 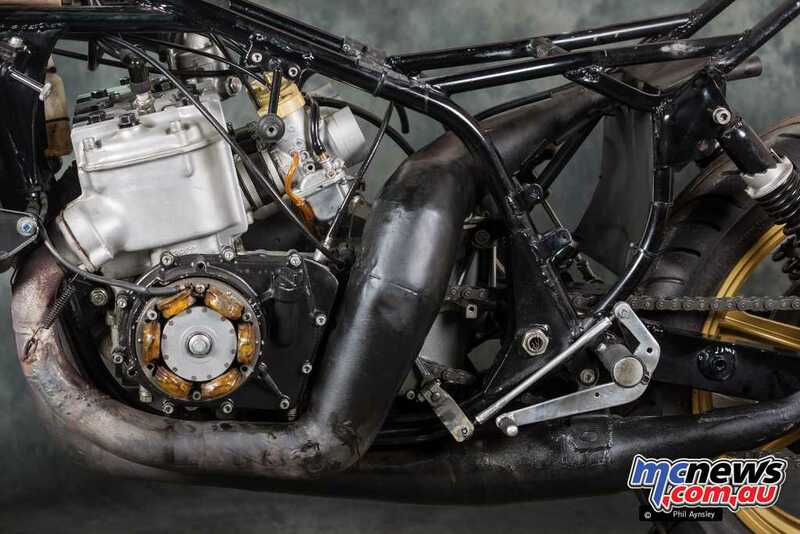 Due to AMA homologation problems with the cylinder barrels it wasn’t until September that the TR750 could race again in the US. 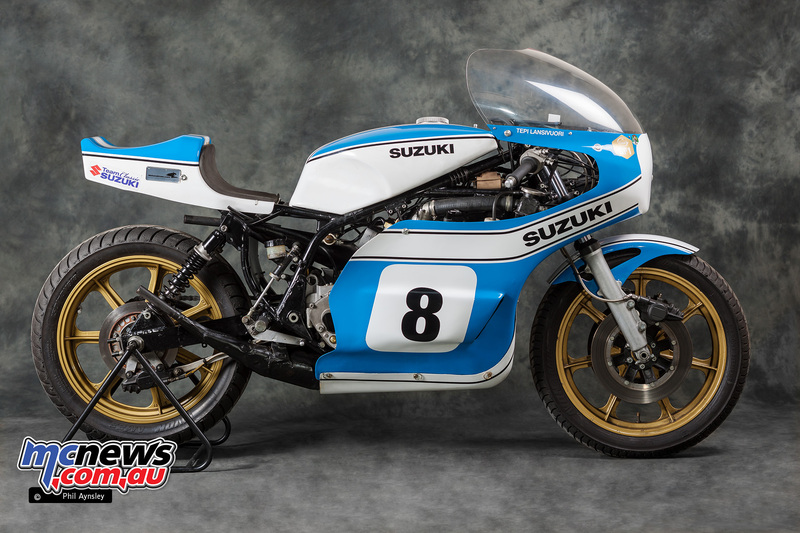 Meanwhile in Europe a single TR750 was made available to the Suzuki Europa Team, based in Italy, but it was only raced sporadically and with a best result of a fourth place. 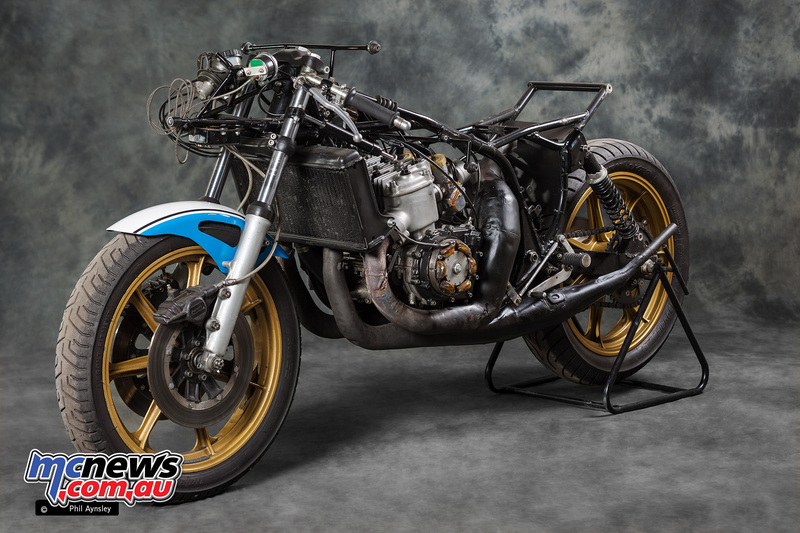 This bike was loaned to Suzuki GB for Jack Findlay to race at the IOM, in which he finished third in the 750cc race. 1973 and ’74 saw more success (mainly in Europe) with Rick Perry, Paul Smart, Jack Findlay, Tepi Lansivouri, Stan Woods and a certain Barry Sheene all picking up wins or podiums. 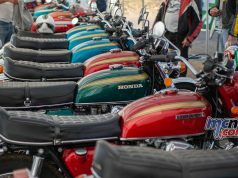 1975 saw development of the TR750 reach its peak (while the about to arrive Yamaha TZ700 already made more power). 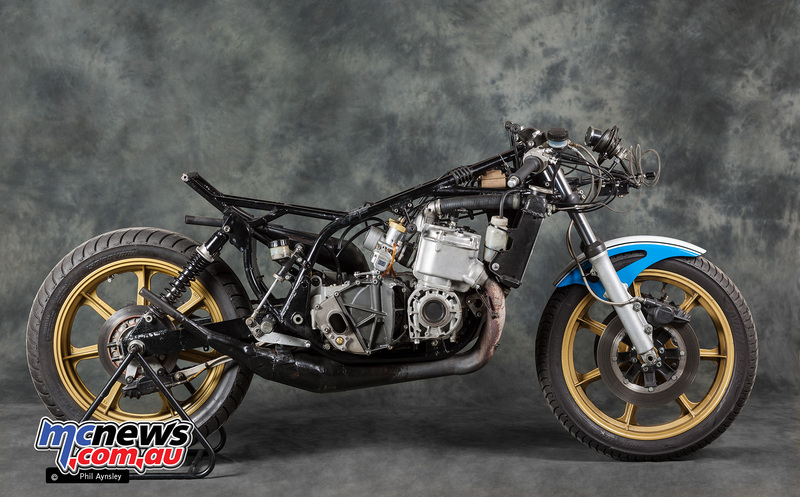 A new frame design also saw the introduction of a box-section swingarm and heavily inclined rear shocks. A six-speed gearbox was fitted. 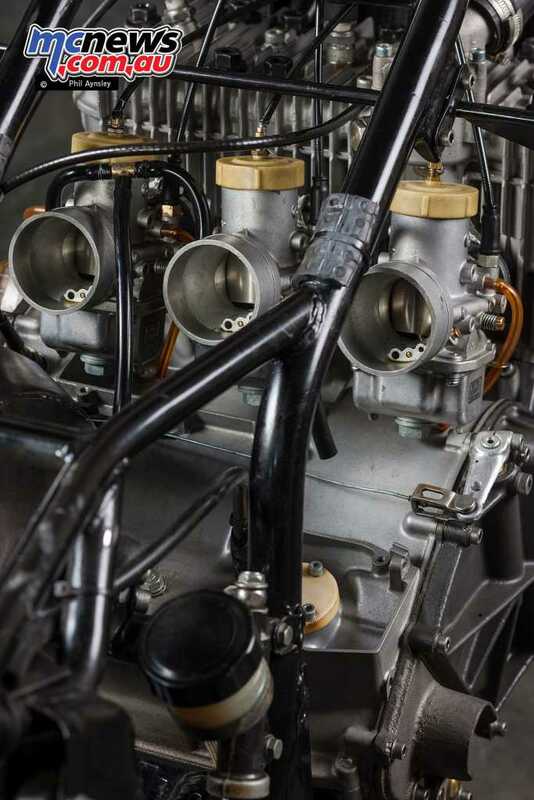 Output at the start of the year was 115-120hp and the dry weight 148kg. Top speed was approximately 300km/h. 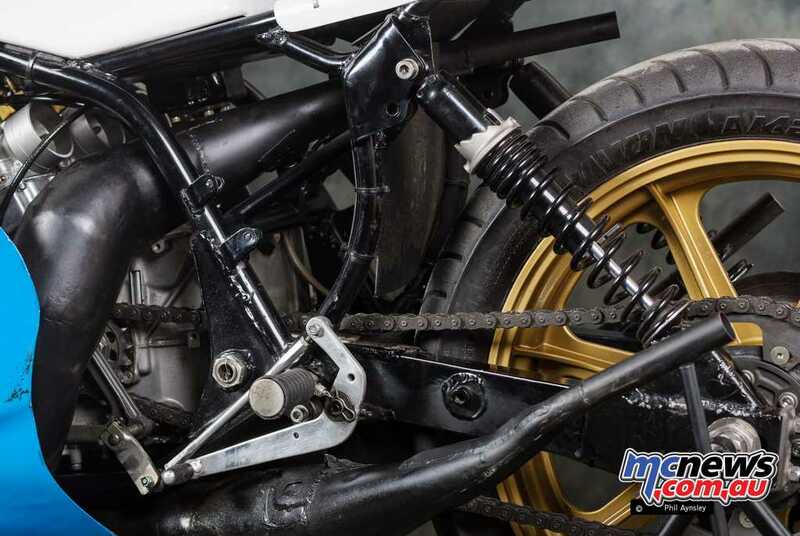 Chains and tyres were still a very limiting factor however and it was at a pre-race test at Daytona that Barry Sheene had his infamous crash when the rear tyre failed at 270km/h on the banking (whether due to deformation or being damaged by the chain tensioner is still debated). 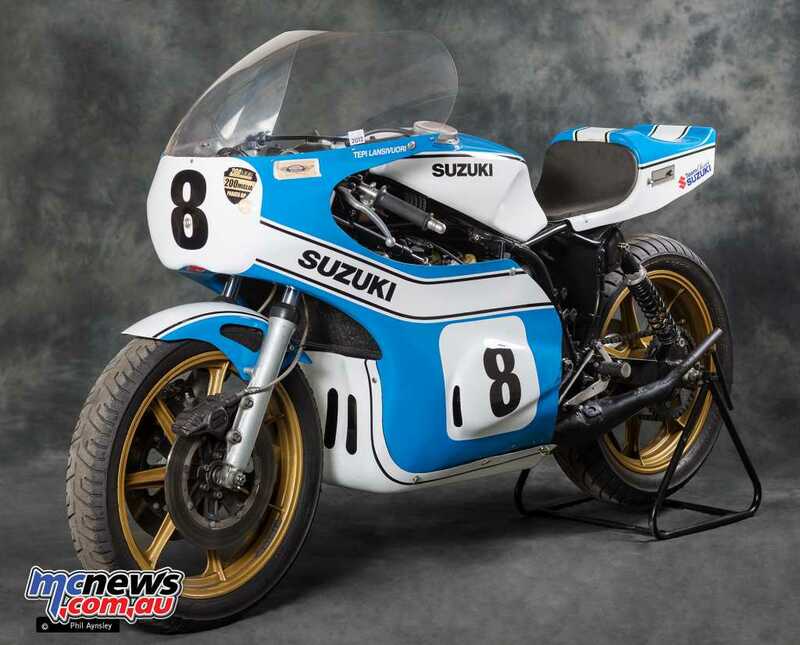 Suzuki GB records show that this bike photographed here (frame GT750 62861) is his team mate Tepi Lansivouri’s machine that retired while leading the race, due to a broken chain. 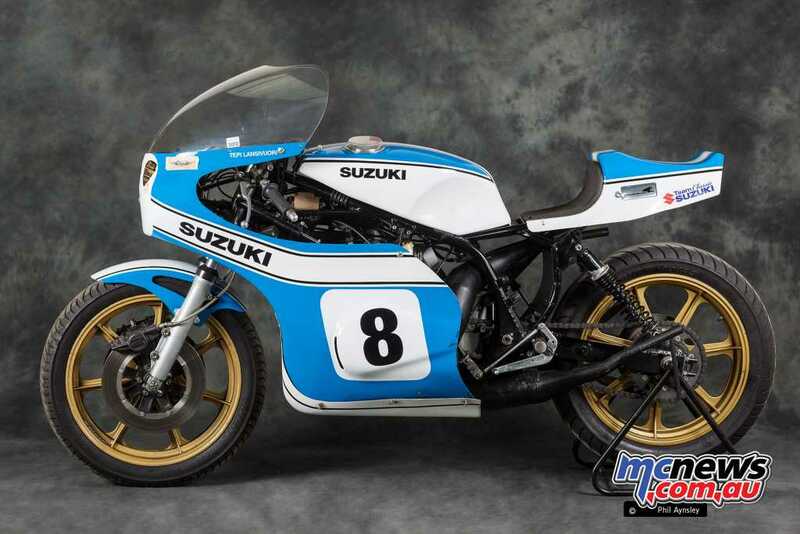 He campaigned the bike for the rest of ’75 with Percy Tait using it the following year. Documents supplied by Barry show it was fitted with the engine he used to win the Mallory Park Race of the Year in ’74. 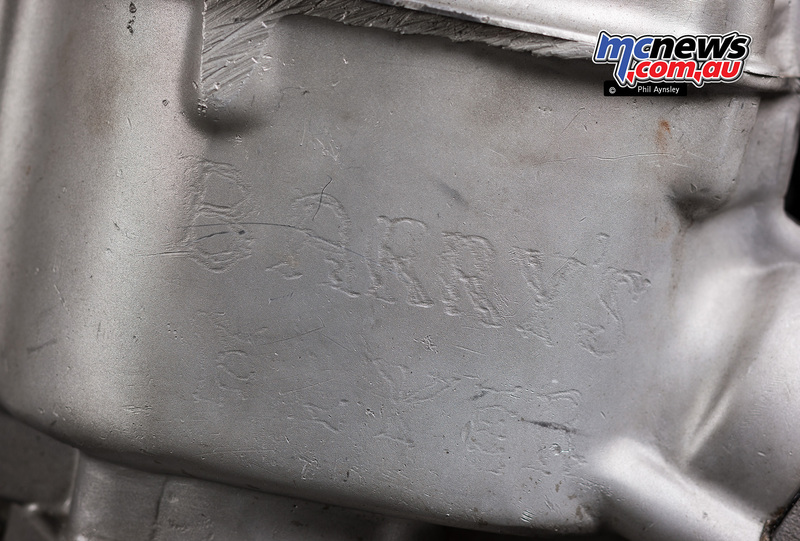 The engraved words ‘Barry’s Flyer’ can be seen on the right hand side of the barrels. The engraved words ‘Barry’s Flyer’ can be seen on the right hand side of the barrels. The bike is now a part of the Team Classic Suzuki collection in the UK.